One of our team members will be in touch shortly. Get practical tips on integrating user tests into an agile development process. 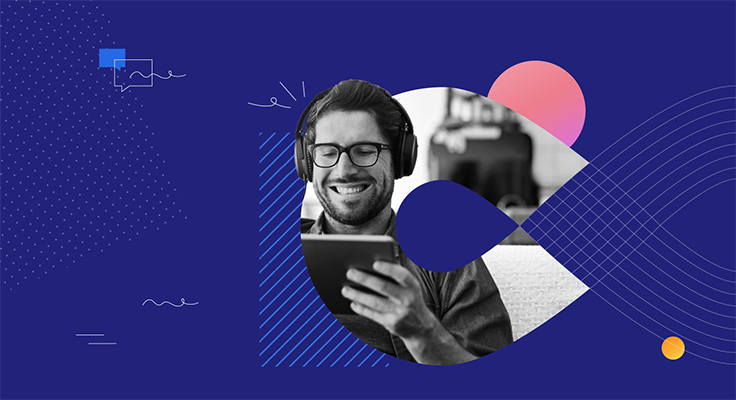 Learn how organizations are adapting to meet the ever-changing needs of sophisticated consumers in an increasingly digital landscape. This Agreement (the “Terms”) contains the exclusive terms and conditions between you and UserTesting, Inc., a California corporation with offices at 2672 Bayshore Parkway, Mountain View, CA, 94043, USA (“UserTesting”), and it governs your participation in user experience and usability studies (the “User Tests”). By indicating your acceptance in the “I Agree” field, you represent and warrant that you are 18 years of age or older and agree to abide by and to be bound by this Agreement. If you do not agree to all of the terms of this Agreement or if you are younger than 18 years old, you may not act as a Tester for UserTesting. You are acting as an independent contractor for UserTesting. Nothing in this Agreement will be construed to make you an agent, employee or legal representative of UserTesting. You will not be entitled to any benefits and you are solely responsible for your taxes. UserTesting’s clients for whom you are conducting Usability Testing shall be considered third party beneficiaries of this Agreement to the extent that any act or omission by you causes any damage or liability to any such client, and such client shall have the right to enforce any provision of this Agreement. You acknowledge that in performing Usability Testing or otherwise performing your duties under this Agreement, you will be granted access to or may obtain, learn, or develop Proprietary Information, including but not limited to the Platform, Element(s), the existence of an Element, User Tests, text, software, scripts, code, designs, ideas, graphics, photos, sounds, music, videos, applications, interactive features, software, technology, know-how, algorithms, processes, testing procedures, structure, interfaces, specifications, documentation, inventions (whether patentable or not), patents, copyrights, trademarks, trade dress, service marks, and other intellectual property, as well as technical, business, product, marketing, and financial information, products, and data. You acknowledge and agree that Proprietary Information may be protected by applicable intellectual property and other laws. UserTesting shall solely own all right, title, and interest in and to all results of your Usability Testing, including all video and audio recordings you create, conclusions, suggestions, comments, and any related reports made by you or in connection with your Usability Testing under this Agreement (“Testing Results”). You hereby assign to UserTesting, for no additional consideration, any invention, work of authorship, mask work, idea, process, or know-how (whether patentable or not) that is conceived, learned, or reduced to practice in the course of performance under this Agreement and sole ownership of any related patent rights, copyrights (including moral rights, provided that non-assignable moral rights are waived), trade secret rights, mask work rights, and other rights. You agree to take any action reasonably requested by UserTesting, at UserTesting’s expense, to evidence, perfect, obtain, maintain, enforce, or defend such rights. Except as expressly provided in this Agreement, nothing provided in connection with Usability Testing shall be construed as conferring any license under any of UserTesting, its clients’, or any other party’s intellectual property rights, whether by estoppel, implication, waiver, or otherwise. Subject to the provisions of this Agreement, UserTesting grants to you a personal, nonsublicensable, nonexclusive license to use Proprietary Information solely to conduct Usability Testing on behalf of UserTesting and its clients, and in accordance with any documentation or instructions supplied by UserTesting. Any underlying software, information, or Elements obtained by you in connection with Usability Testing are deemed to be a part of Proprietary Information and are subject to all the disclaimers, limitations, and restrictions in this Agreement relating to Proprietary Information. You agree to use Proprietary Information only in the ordinary course of testing, and you will not reproduce or modify the Proprietary Information or any underlying ideas, technology, related software, or portion thereof. You agree that you will not rent, sell, lease, or otherwise transfer or allow access to Proprietary Information or any part thereof or use such Proprietary Information for the benefit of a third party. You agree that you will not reverse engineer, disassemble, decompile, translate, adapt, or disassemble any software related to Proprietary Information, or otherwise attempt to discover any such software source code or underlying Proprietary Information. You agree that you will not remove or export any Proprietary Information or any portion or direct product thereof from the United States or the country in which you have agreed to perform Usability Testing. With the clients for whom you are a Tester or a candidate to be a Tester as necessary for those clients to receive the full benefit of Usability Testing. For example, UserTesting does not provide your personally identifiable information to UserTesting clients unless provision of that information is necessary for a particular User Test. With vendors and service providers retained in connection with the provision of UserTesting services. To an acquirer or merged entity as a result of an acquisition by or merger by UserTesting with a third party. As we believe in good faith to be appropriate: (i) under applicable law, including laws outside your country of residence; (ii) to comply with legal process; (iii) to respond to requests from public and government authorities; (iv) to enforce this Agreement; and (v) to protect the rights, privacy, safety, operations, or property of UserTesting, our clients, you, or others. For more information on how your Tester Information may be used, please see the Privacy FAQs attached to this Agreement. 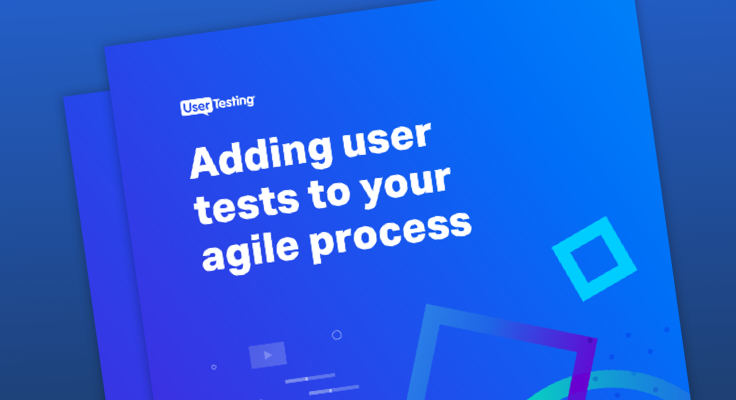 As part of being a Tester, you will have the opportunity to perform and record shorter User Tests with a fewer number of limited tasks (“Peek Tests”). Each Peek Test will be clearly identified on the Platform. UserTesting may make Peek Tests accessible through a public library or through other means on the Internet. You acknowledge and agree that in performing Usability Testing as part of any Peek Test, that the applicable Peek Test, including all video and audio recordings, conclusions, suggestions, comments, and any related reports made by you in connection with such Peek Tests, shall be publicly accessible. A secure, high speed internet connection. For computers: a personal, non-commercial laptop or desktop computer capable of running the UserTesting screen recorder. For mobile phones or tablets: A mobile phone or tablet device capable of running the UserTesting screen recorder. A fully operational USB or plug-in headset microphone for desktop testing. In some cases, a webcam if you want to participate in projects that specifically require video. A valid PayPal account for payment processing. All Testers must download UserTesting’s screen recorder (the “Screen Recorder”) from UserTesting’s website, usertesting.com (the “Site”). UserTesting grants you a limited, royalty-free, non-transferable, non-exclusive right and license to use the Screen Recorder on your personal, non-commercial device, solely for the purpose of providing Usability Testing services to clients of UserTesting. Record your facial expressions through the use of a webcam or in-device camera. Record your voice to capture oral feedback. Record your computer screen actions, screen shots, clicks, navigational data and voice as you perform tasks on selected Elements. Record your answers to a series of questions on various topics such as design, content, user-friendliness, as well as offer ratings and suggestions on these areas. Record your written commentary and suggestions. Record the entire Usability Testing session and provide it to UserTesting’s client. Record any other sights or sounds that arise during a Usability Test and are captured by your device camera or microphone. In the event that any other person’s likeness or voice is recorded during a Usability Test, you represent and warrant that you will obtain any necessary consents to share the Usability Testing recording with UserTesting and its clients. You agree that UserTesting may share any Usability Test recordings with its clients. UserTesting may extract anonymous statistics and otherwise aggregate or de-identify information from User Tests and written reports you create and use such information for any purpose. UserTesting may post on its Site audio and video content that you provide while performing Usability Testing services, provided that UserTesting will not post your full name or other personally identifiable information. UserTesting will take reasonable precautions to limit use of such information to viewing only. However, you acknowledge that third parties may develop means by which they can circumvent such precautions and download such audio and video content. In such case, UserTesting shall not be liable for such third party downloading. Some UserTesting clients may want to test Elements that require you to share additional personally identifiable information or sensitive information in order to properly perform Usability Testing. For such User Tests, UserTesting or the client will seek your explicit consent before collecting or sharing such information. Testers and clients may only communicate with each other through the Platform. Unless you were hired directly by UserTesting’s client (“Private Tester”), you may not provide any client with your personal contact information in order to allow a client to contact you directly, and you may not contact a client in any manner even if requested by the client. Other than communication relating to your separate business with a client, any communication between you and a UserTesting client outside of the Platform without UserTesting’s permission is a material breach of this Agreement, and UserTesting may withhold payment for any Usability Testing services you may have provided. You hereby give UserTesting permission to review communications made between you and any UserTesting client on the Platform to enforce this provision. You agree not to purchase or sell stock in any of the UserTesting clients for whom you’ve performed Usability Testing. You may be privy to material, non-public information that would make it illegal for you to purchase or sell stock in such clients. You may not copy or record any Proprietary Information, including the results of your Usability Testing. You may not copy or take screenshots/videos of the Elements, the UserTesting Screen Recorder, and/or disclose such Proprietary Information to other Testers or third parties in any manner. If a Usability Test requires you to download an Element onto your device, you will promptly delete such Element after completion of the Usability Test. If a Usability Test provides you with access to a password-protected website or non-public website, you will not access such website after completion of that Usability Test. You understand that UserTesting takes steps to ensure that your Tester Information is treated securely, but no Internet transmission or method of electronic storage is 100% secure or error free. You acknowledge and agree that UserTesting cannot guarantee the security of any information provided by you and that you provide information at your own risk. You are responsible for maintaining the confidentiality of any usernames or passwords associated with any account that you use for Usability Testing and for monitoring all activity under your account. You may not disclose or share your username or password with any third parties or use them for any unauthorized purpose. You will be responsible for all activities, acts, or omissions that occur under your account, and you agree to assume full responsibility for any such activities, acts, or omissions. If you become aware of any unauthorized use of your password or your account, you agree to notify UserTesting immediately at the email address provided at the end of this Agreement. Unless you are a Private Tester, UserTesting will pay you the agreed-upon fees through PayPal within 7 days after completion of the applicable Usability Test. Any payment transactions will be encrypted using SSL technology. You acknowledge and agree to the following requirements and additional information. All payments will be made in the currency of your country. Applicable PayPal fees for certain transactions may be deducted by PayPal from your total payment. Please contact PayPal for more information. As a Tester, you are an independent contractor and responsible for determining any tax liabilities incurred from payments received from UserTesting. As a Tester with U.S. tax obligations, you may be required to provide UserTesting with W-9 information. If you are a Private Tester, then you shall be paid directly by the UserTesting client who hired you, and you acknowledge and agree that UserTesting has no obligation to pay you for your services. Real or suspected breaches or violations of this Agreement, other incorporated agreements, Usability Testing instructions, and/or additional terms. Requests by law enforcement or other government agencies. A request by you (self-initiated account deletion). Discontinuance or material modification to the UserTesting services or any portion thereof. Unexpected technical or security issues or problems. Termination of this Agreement or your account may include removal of access to all Usability Testing resources or Proprietary Information, deletion of information associated with or inside your account, and barring of further participation in Usability Testing. Further, you agree that all terminations for cause will be made in UserTesting’s sole discretion and that UserTesting is not liable to you or any third party for any termination of this Agreement or your account. We control and operate the Usability Testing services from our offices within the United States of America. We do not make any representation that any Proprietary Information related to Usability Testing or other content from UserTesting or UserTesting clients are appropriate or available for use in other locations, and access to them from territories where such content or use of such Proprietary Information or participation in Usability Testing is illegal is prohibited. If you enroll as a Tester from locations outside of the United States, you do so on your own initiative and at your own risk and are responsible for compliance with applicable local laws. All rights not expressly granted by UserTesting in this Agreement are reserved. NO ENDORSEMENT OF OR PARTICIPATION BY ANY THIRD PARTY SHOULD BE INFERRED DUE TO ANY REFERENCE TO THAT THIRD PARTY OR INCLUSION OF DATA RELATING TO THAT THIRD PARTY IN CONNECTION WITH A USABILITY TEST. The parties acknowledge and agree that the Elements and Usability Testing are experimental in nature and that any and all Proprietary Information, including the Platform, Elements, and any other software or content provided by UserTesting, a client, or a third party in connection with Usability Testing, is provided “AS IS” and may not be functional on any machine or in any environment. TO THE MAXIMUM EXTENT PERMITTED BY APPLICABLE LAW, THE RELEASED PARTIES DISCLAIM ALL WARRANTIES, EXPRESS OR IMPLIED, INCLUDING BUT NOT LIMITED TO, ANY WARRANTIES OF MERCHANTABILITY, FITNESS FOR A PARTICULAR PURPOSE, NON-INFRINGEMENT, AND ANY IMPLIED WARRANTIES ARISING FROM COURSE OF DEALING OR COURSE OF PERFORMANCE FOR THE PLATFORM, USABILITY TESTING, ELEMENTS AND ANY OTHER INTERACTION THAT YOU MAY HAVE WITH THE RELEASED PARTIES. ANY MATERIAL DOWNLOADED OR OTHERWISE OBTAINED THROUGH THE PLATFORM OR USABILITY TESTING IS ACCESSED AT YOUR OWN DISCRETION AND RISK, AND YOU WILL BE SOLELY RESPONSIBLE FOR ANY DAMAGE TO YOUR DEVICE OR LOSS OF DATA THAT RESULTS FROM THE DOWNLOAD OR USE OF ANY SUCH MATERIAL. TO THE MAXIMUM EXTENT PERMITTED BY APPLICABLE LAW, IN NO EVENT WILL THE RELEASED PARTIES BE LIABLE TO YOU OR ANY THIRD PARTY WITH RESPECT TO ANY MATTER ARISING OUT OF OR RELATED TO THIS AGREEMENT UNDER ANY CONTRACT, NEGLIGENCE, STRICT LIABILITY, TORT, BREACH OF WARRANTY, OR OTHER THEORY (A) FOR LOSS OR INACCURACY OR CORRUPTION OF DATA, OR (B) COST OF PROCUREMENT OF SUBSTITUTE GOODS, SERVICES, OR TECHNOLOGY, OR (C) FOR ANY INDIRECT, SPECIAL, INCIDENTAL, CONSEQUENTIAL, EXEMPLARY, OR PUNITIVE DAMAGES, INCLUDING, BUT NOT LIMITED TO, DAMAGES FOR LOST REVENUES, LOST PROFITS, GOODWILL, USE, DATA, OR OTHER INTENGIBLE LOSSES (EVEN IF THE RELEASED PARTIES HAVE BEEN ADVISED OF THE POSSIBILITY OF SUCH DAMAGES). TO THE MAXIMUM EXTENT PERMITTED BY APPLICABLE LAW, IN NO EVENT WILL THE RELEASED PARTIES’ AGGREGATE LIABILITY TO YOU UNDER THIS AGREEMENT EXCEED THE LESSER OF ONE THOUSAND DOLLARS ($1000) OR THE AMOUNT PAID OR PAYABLE TO YOU FOR PROVISION OF THE USABILITY TESTING SERVICES. YOU FURTHER AGREE THAT THE LIMITATIONS OF LIABILITY ABOVE WILL SURVIVE ANY TERMINATION OR EXPIRATION OF THIS AGREEMENT AND WILL APPLY EVEN IF ANY LIMITED REMEDY SPECIFIED HEREIN IS FOUND TO HAVE FAILED OF ITS ESSENTIAL PURPOSE. You agree to defend, indemnify, and hold harmless the Released Parties and their employees, suppliers and licensors, clients, and their respective officers, directors, employees, agents, subsidiaries and affiliates, from and against any third-party claim, demand, liability, loss, damage, cost or expense (including without limitation reasonable legal and accounting fees) arising out of or related to: (A) your participation in Usability Testing; (B) your use of any Proprietary Information provided or obtained in connection with Usability Testing; (C) your failure to comply with this Agreement, including, without limitation, your disclosure of any Proprietary Information that is provided to you; (D) your infringement, violation, or misappropriation of any third party rights; or (E) any violation of applicable laws or regulations. The Released Parties shall promptly provide notice to you of any such claim, demand, liability, loss, damage, cost or expense. EACH PARTY RECOGNIZES AND AGREES THAT THE WARRANTY DISCLAIMERS AND LIABILITY AND REMEDY LIMITATIONS IN THIS AGREEMENT ARE MATERIAL, BARGAINED FOR BASES OF THIS AGREEMENT AND THAT THEY HAVE BEEN TAKEN INTO ACCOUNT AND REFLECTED IN DETERMINING THE CONSIDERATION TO BE GIVEN BY EACH PARTY UNDER THIS AGREEMENT AND IN THE DECISION BY EACH PARTY TO ENTER INTO THIS AGREEMENT. By agreeing to these terms you acknowledge and agree that we may use, store and process personally identifiable information (or “Personal Data”) which you provide to UserTesting, including (i) full name, (ii) email, (iii) physical address, (iv) phone number, and other related information that may be collected as part of a User Test or for the purpose of UserTesting Services to UserTesting’s customers (the “Agreed Purpose”). You also agree that, as a data controller of your, the data subject’s, Personal Data, we may process and transfer personally identifiable Information to our data centers in strategic locations (including, but not limited to, the United States, Singapore and Ireland) to support UserTesting’s customers in those regions and in other jurisdictions outside of the European Economic Area (“EEA”), which may have different data protection standards to those protected in the EEA, in connection with the Agreed Purpose, in order to enhance the responsiveness of the Service we provide and allowed for improved access and uptime to UserTesting’s customers. Save in connection with the provision of services to you or as required in order to comply with applicable law, Personal Data which you provide to us will be kept confidential and will not be disclosed to anyone outside of UserTesting or UserTesting’s customers. You will have a right of access under data protection legislation to your personally identifiable information that we hold about you. This Agreement constitutes the entire agreement between you and UserTesting relating to the subject matter of this Agreement, and shall completely replace any prior agreements, oral or written, between you and UserTesting in relation to you acting as a Tester for UserTesting. UserTesting reserves the right to discontinue Usability Testing services at any time or otherwise make changes to its services at any time, without notice, and without liability to you. UserTesting’s failure to exercise or enforce any legal right or remedy or provision of this Agreement (or which UserTesting has the benefit of under any applicable law) will not constitute a waiver of such right, remedy, or provision. In the event that any of the provisions of this Agreement is found by a court or other tribunal of competent jurisdiction to be invalid or unenforceable, such provisions shall be limited or eliminated to the minimum extent necessary so that the other provisions of this Agreement remain in full force and effect. You may not assign or delegate any rights or obligations under this Agreement, and any such attempted assignment or delegation shall be void and without effect. UserTesting may freely assign or delegate all rights and obligations under this Agreement, in whole or in part. You acknowledge and agree that due to the unique nature of the Proprietary Information, there may be no adequate remedy at law for any breach of your obligations in this Agreement, that any such breach may allow you or third parties to unfairly compete with UserTesting or its clients, resulting in irreparable harm to such parties. As such, upon any such breach or threat thereof, UserTesting or an applicable client shall be entitled to injunctions and other appropriate equitable relief in addition to whatever remedies it may have at law. This Agreement and the relationship between you and UserTesting shall be governed by the laws of the State of California without regard to its conflict of law provisions. You agree to first contact UserTesting at support@usertesting.com regarding any claim or controversy arising out of or relating to this Agreement or your participation in Usability Testing. You and UserTesting agree to submit to the personal and exclusive arbitration of any disputes relating to this Agreement or your participation in Usability Testing under the rules of the JAMS ADR. For more information visit www.jamsadr.com. Any such arbitration, to the extent necessary, shall be conducted in Mountain View, California. You covenant not to sue UserTesting in any other forum. To the extent permitted by law, you agree that you will not bring, join or participate in any class action lawsuit as to any claim, dispute or controversy that you may have against UserTesting. You agree to the entry of injunctive relief to stop such a lawsuit or to remove it as a participant in the suit. You agree to pay the attorney’s fees and court costs that UserTesting incurs in seeking such relief. This provision, preventing you from bringing, joining or participating in class action lawsuits, is an independent agreement and does not constitute a waiver of any of your rights and remedies to pursue a claim individually and not as a class action in binding arbitration as provided below. YOU MUST FILE ANY CLAIM WITHIN ONE (1) YEAR AFTER SUCH CLAIM AROSE OR IT IS FOREVER BARRED. You agree that UserTesting may communicate with you electronically or telephonically regarding this Agreement, Usability Testing, security, privacy, and administrative issues. If UserTesting learns of a security system’s breach, it may attempt to notify you electronically by posting a notice on the Site, sending an email to you, or contacting you via any other means of communication for which you have provided contact information. You may have a legal right to receive a notice of breach in writing. To receive free written notice of a security breach or to withdraw your consent from receiving electronic notice, please contact us via the contact information provided at the end of this Agreement.